Transformers: Age of Extinction is set to release this summer, marking the fourth release in the reloaded tale of Autobots and Decepticons. Whether you just like a big sci-fi blockbuster full of Michael Bay’s signature explosive action MichaelBayifier: Give Your Image the Michael Bay Effect MichaelBayifier: Give Your Image the Michael Bay Effect Read More , or your Transformer fever gives you chills every time you hear the opening chords of “The Touch“, there are lots of ways you can enjoy the adventures of form changing robots long after the movie’s credits roll. 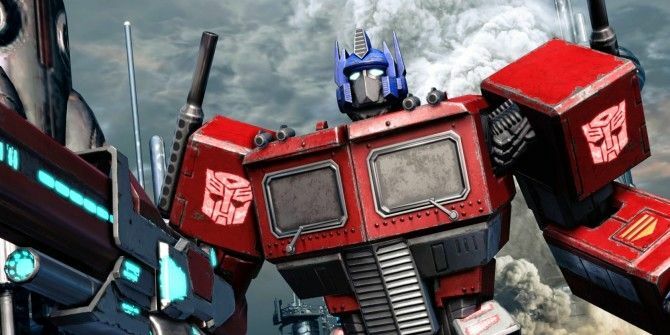 Check out your options for official Transformers games, and other shape-shifting franchises that might scratch your itch! Right now, the go-to games for great Transformers action are made by High Moon Studios. War for Cybertron ($19.99) and Fall of Cybertron ($59.99) are both competent third-person shooters for PC, PS3, and Xbox 360 that let you play as an Autobot or a Decepticon. You’ll have opportunities to play as a wide assortment of characters, including ground vehicles and flyers, as you rampage across the Transformers’ bleak, robotic homeworld. Are you a die hard fan of Michael Bay’s take on the Transformers’ universe? Good News! Transformers, Revenge of the Fallen, and Dark of the Moon have all had game adaptations for your PS3 and Xbox 360. You’ll fight your way across Earth, and have showdowns in cities and military complexes. None of these are available digitally, though, so prepare to search your favorite used game retailers if you don’t already have your own copies. Can’t decide between Bay and High Moon? You’re covered there too! Transformers: Rise of the Dark Spark will be a crossover product that links the Cybertron story arc to the events of Age of Extinction. Look for this one on consoles and handhelds later this year. The only official option for your mobile device is Transformers Legends app [No Longer Available]. This casual, free-to-play card game lets you complete missions, level up, and battle against other players’ teams in command of your Autobot or Decepticon army. You’ll collect characters and weapons straight out of Transformers lore to build your strike force, but as with many free titles, your chances at the rarest cards increase if you’re willing to spend a little money. One of the most exciting Transformers titles is still on the horizon. Transformers Universe calls itself a Massive Online Tactical Action game. You won’t be creating your own character from scratch like you might in an MMORPG, though. Instead you’ll choose from a pool of Autobots and Decepticons much like you’d choose a champion in League of Legends 3 League Of Legends Champions You Will Want To Be Playing 3 League Of Legends Champions You Will Want To Be Playing With September and October coming up as the biggest months in competitive League of Legends history, it's time for you to get interested! It's the biggest online game in the world! Read More , and join the faction war in instanced multiplayer battles. Developer Jagex promises PvE content in this one too, so don’t dismiss it just because you’re not a competitive gamer. Expect Transformers Universe to roll out this summer. Have you played every official Transformers game out there and you still feel hungry for more? Check out even more games with shape-shifting machines! Originally released exclusively for PC, Strike Suit Zero recently returned with a director’s cut version available for your PlayStation 4 and Xbox One. In it, you’ll pilot an advanced space fighter that can shift into giant robot form and back again, as you take on waves of fighters and capital ships. Play through the campaign to get the story, and replay missions to try to beat your best scores. Great pilots get rewarded with unlockable weapons and upgrades to make the Strike Suit a deadly and powerful ship. You don’t have to own a console made by Nintendo to get a competent, fun kart racing game. Sonic & All-Stars Racing Transformed for PC, consoles, and handhelds features an army of Sega characters and other licensed stars racing in transforming vehicles that adapt to land, sea, and air. The game has a great variety of content including classic multi-race tournaments, a varied campaign that mixes regular races with handling, drifting, and battle challenges, and of course, competitive multiplayer so you can throw down against your friends. Get the PC version if you have the option to enjoy exclusive characters from Football Manager, Team Fortress 2, and the Total War series. Thexder Neo is an HD recreation of a PC action game from 1985, and it is old-school hard through and through. You guide Thexder, a robot that can transform into a fighter ship, through tight, labyrinthine corridors and rooms full of nimble enemies to advance from level to level. You’ll find yourself fairly evasive in ship form, but you can’t fire your powerful homing lasers unless you shift to robot form, so expect to master the art of timing your transformations if you want to survive. If you’d like to give this one a try, check out the free demo for PlayStation 3 and PSP on the Sony Entertainment Network Store. Between current and upcoming releases, you’ve got a lot of transforming action to enjoy on a wide variety of platforms. Get your hands on one of these titles today, and you can enjoy imagining life as a robot in disguise! Do you think Transformers: Age of Extinction will be the biggest action movie of the summer, or will another movie steal the show? Tell us who you’ve got your money on in the comments! Prefer your robots a little more realistic? Check out what engineers are making robot quadrotors 8 Robot Quadrotor Videos Suggest A Scary Future 8 Robot Quadrotor Videos Suggest A Scary Future Many technological advances have a scary side to them, pointing towards a future where humanity is in danger of being overrun by intelligent machines which no longer need us. If they ever decide they don't... Read More do!